Please save to your own server. Please refrain from cursing, advertising, spamming, and making affiliation requests in the C-box! You will be banned! All affiliation requests should be sent here! Which Upcoming film are you most excited to see Emma in? This contest is a new version of our old one! Please click to learn about the massive change in this contest! Love Unchained does not own Harry Potter and is in no way affiliated with J.K. Rowling, Warner Brothers, Bloomsbury Publishing or thier subsidiaries. No monetary gain is being made off this website. No copyright infringement intended. All intellectual properties within this website belong to their respective owners. Feel free to CLICK THOSE BUTTONS!! If you enjoy the news we bring you please like it and spread the word! Now then, on to the news! As many of you who have visited the gallery in the past few days have noticed there has been a massive gallery update! We're working very hard to get the site up to date with all current pictures! 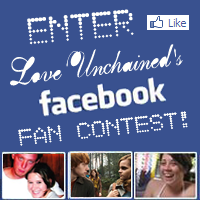 If there are some you'd like added please let us know by e-mailing us at Staff@loveunchained.com! Rupert has been featured in the July issues of Attitude, Recognize, and That Magazine! Along with the gorgeous pics of our favorite red head we also get a noteworthy interview. Rupert spoke in Attitude magazine about bullying in school and how he learned to overcome it. We used to do school plays all the time. Because we didn’t have any girls I used to get all the female roles. I was the youngest in the class and my voice was the last to break, so I was usually playing the girl parts in the wigs and the dresses. I got a little bit of stick for that. It’s that weird school period when kids can be quite cruel. You’ve got to stick it out and just be strong. He also told us a bit about his fear of spiders. I'm arachnophobic. It's really affected my life. I check my shoes every time I put them on. I check my bed sheets and pillows. I'm going to Australia in a few weeks. I've never been before. Spiders have always stopped me. And finally some thoughts on Gingers. I never really got bullied for my red hair. I knew some kids who really struggled with it. It’s ridiculous. There’s such a big stigma about ginger hair. People think you’re geeky or this or that. I’ve never thought about dyeing it. It’s just part of who I am. Emma has also been behind the flash with Mariano Vivanco for some DH Pt 2 promos and with Czech Republic's Marie Claire. You can find thumbs for them below as well!